May 28, 2015, Taipei, Taiwan – Innodisk, the service-driven flash and memory provider, announces high capacity 16GB DDR3 Memory modules for Intel Atom Avoton and Rangeley based servers with speeds up to 1600MHz, making Innodisk the first on the market with a 16GB DDR3 ECC UDIMM module capable of 1600MHz. Available in UDIMM, SODIMM and ECC UDIMM. These high capacity, high speed memory modules let users easily maximize memory capacity and performance for servers based on the Atom C2000 Processor family. This means faster speeds and better performance for networking systems, telecommunication infrastructure and more. 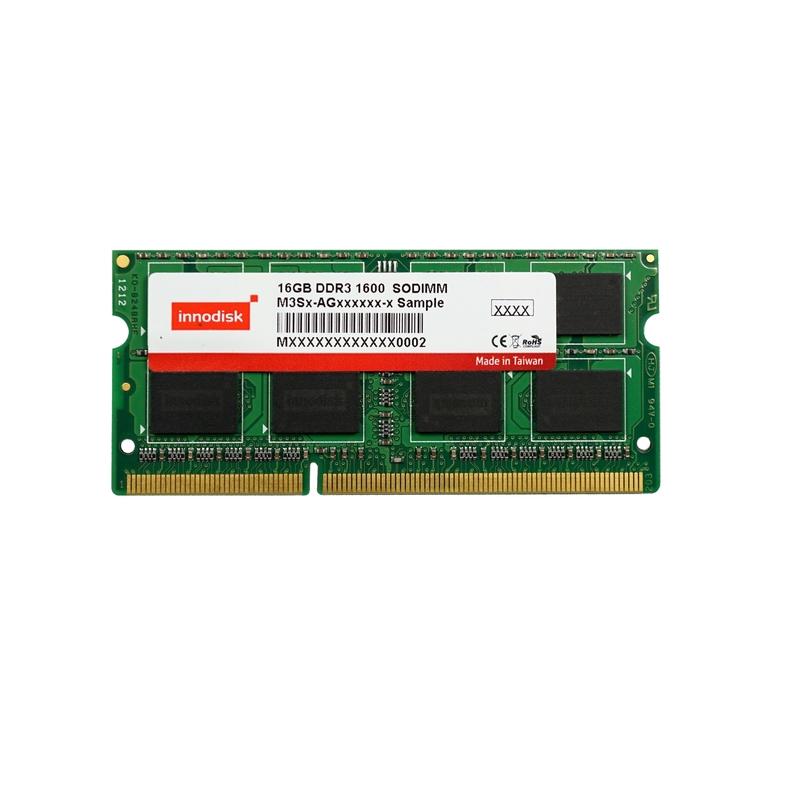 Innodisk’s 16GB modules allow easy maximization of Atom memory performance Atom Servers feature high performance in a small package, but small form factor embedded motherboards and memory controller limitations mean a limited number of slots for DRAM. High capacity DRAM modules allow users of Atom Servers to easily maximize their server memory even with these limitations. With memory often being the performance bottleneck for many server applications such as networking, increasing DRAM is often the most effective and economical way to improve server performance. Atom C2000 Avoton/Rangeley processors support up to 1600Mhz DDR3/DDR3L, and Innodisk’s new DDR3 memory allows users to take full advantage of these speeds for the fastest memory performance. No overclocking is involved, for reliability and long term operation. 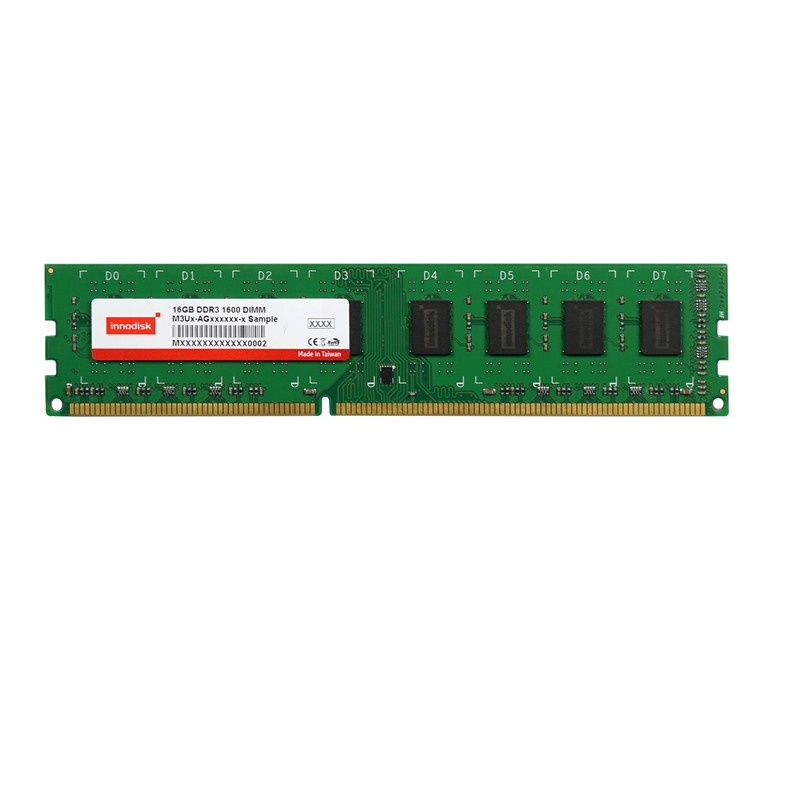 Innodisk’s DDR3 ECC UDIMM, UDIMM, and SODIMM memory is available now, offered in capacities up to 16GB and speeds of 1066/1333/1600MHz. For sales inquiries, contact Innodisk directly or one of Innodisk’s regional distributors. Innodisk (5289: Taiwan) is a service driven provider of flash memory and DRAM products for the industrial and enterprise applications. With satisfied customers across the embedded, aerospace and defense, cloud storage markets and more, we have set ourselves apart with a commitment to dependable products and unparalleled service. This has resulted in products including embedded peripherals designed to supplement existing industrial solutions and high IOPS flash arrays for industrial and enterprise applications. The expanded business lines are leading our next step in being a comprehensive solution and service provider in industrial storage industry. Founded in 2005 and headquartered in Taipei, Taiwan with engineering support and sales teams in China, Europe, Japan, and the United States, Innodisk is able to support clients globally. With abundant experience and an unrivaled knowledge of the memory industry, Innodisk develops products with excellent quality, remarkable performance, great cost-efficiency, and the highest reliability. For more information about Innodisk, please visit http://www.innodisk.com/.